Now that the calendar officially says its fall, we can really turn to all things pumpkin and squash. 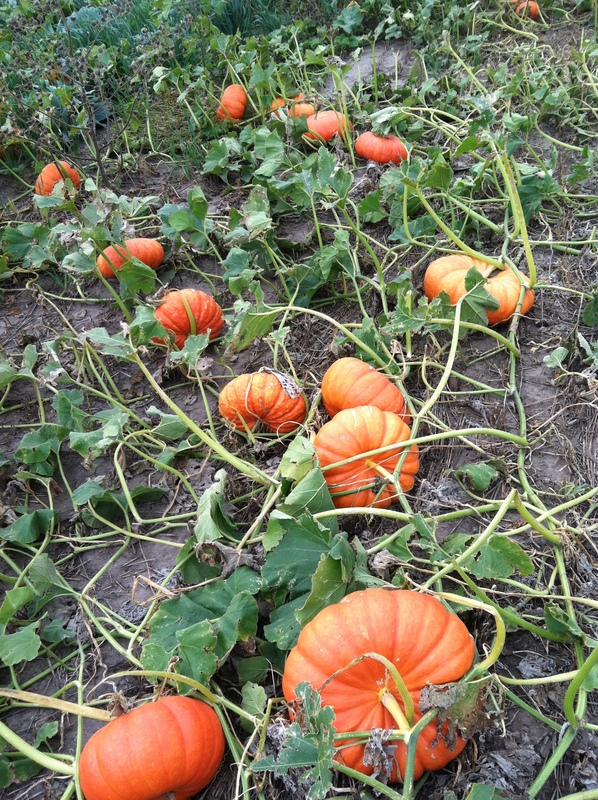 This week we started picking ornamental pumpkins. 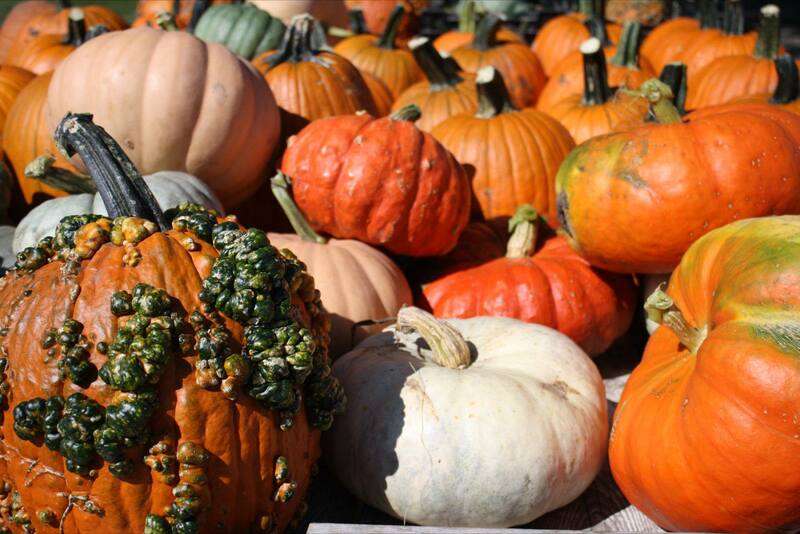 While some of my very favorite pumpkins did not come up this year, we have a great selection of varieties. The warted ones (front left of the picture) are probably my favorite! Down over the “hill” near the pond we have a lovely cabbage patch that is producing some beautiful heads. This always reminds me of the cabbage patch dolls I had when I was little. 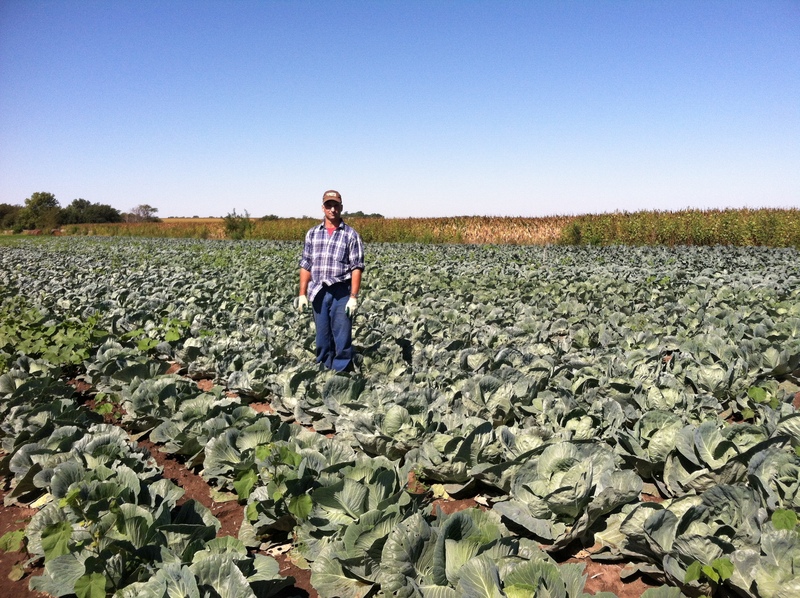 In the picture below, Ryan is standing in the cabbage – much of which will be delivered to Super Savers and Russ’s Markets along with a good supply of broccoli. We are in the middle of September now and with the weather change, we feel like it’s time for fall. 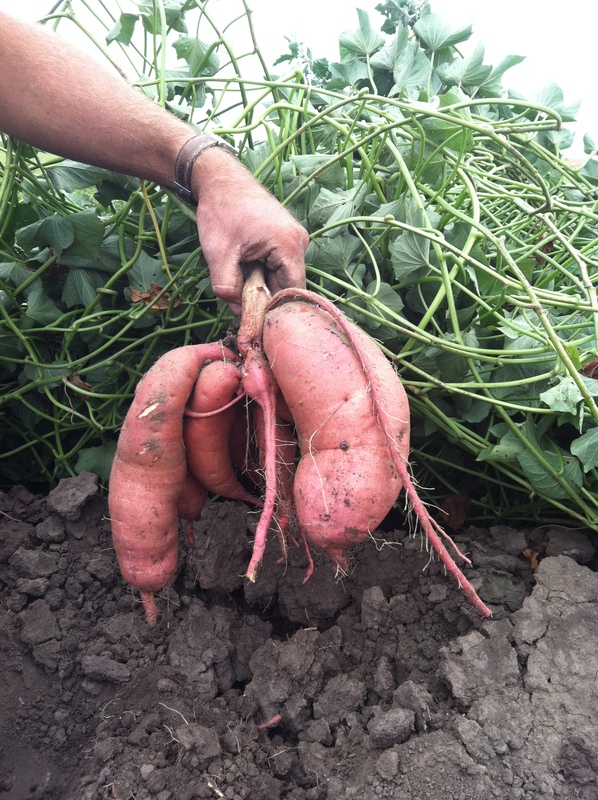 We’ve got a few cool crops coming off now that make us think its fall too – from kohlrabi to pumpkins to sweet potatoes. Pumpkins and winter squash are looking pretty good. 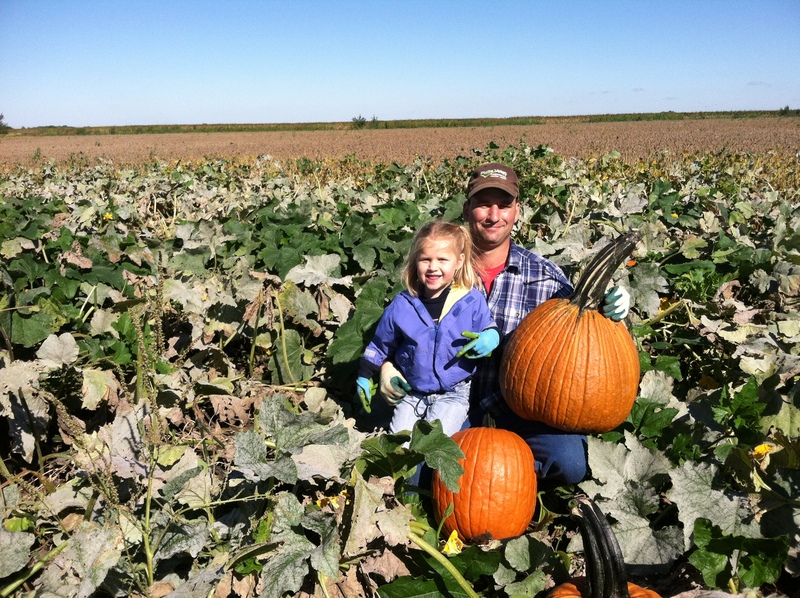 Finding the time or additional labor to pick the crops will be the challenging part of pumpkins this year. In other news, the crew has again changed and dwindled to primarily Ryan. This means he is going six ways from Saturday on the farm. Amongst the normal picking and packing, we are still trying to finish that greenhouse for the winter strawberries. It is looking pretty good, but it would be nice to have the plants in it! Ryan has also cleaned out the high tunnels. Now it is decision time – winter crops such as radishes, lettuce and spinach would be great in the tunnel! But cover cropping inside the tunnel would offer some benefits to improving the soil health inside the tunnel. Sometimes we don’t let you know this enough: We love what we do and are so happy to have you as part of the CSA. We hope you are enjoying the vegetables as much as we are enjoying your participation in the CSA! It’s strange to think that it is September now, kids are back to school and it will soon be time to turn to fall crops. 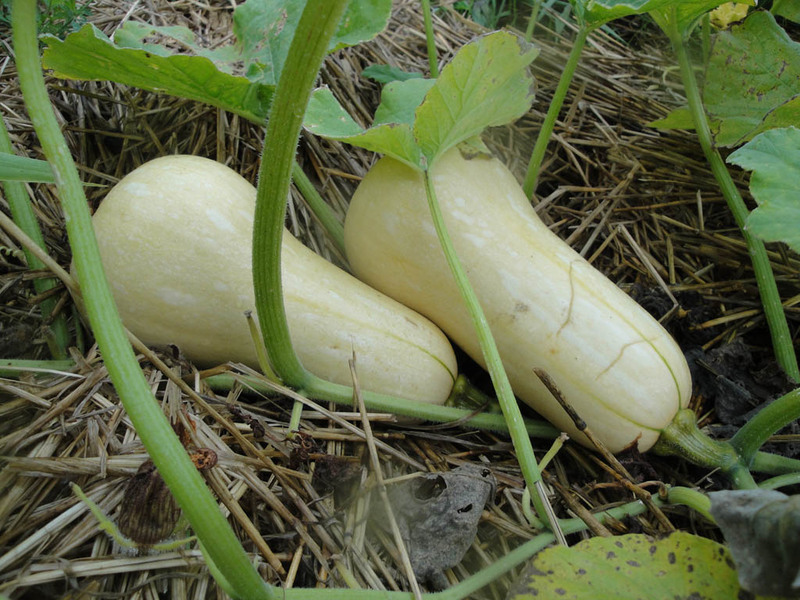 We are as excited as little children when we check on our winter squash and pumpkins and are happy to report that they are coming along well for fall. We’ve tried a new variety of butternut squash that is a little bit smaller and is sure to please. We are also happy to report that the sweet potatoes are sizing up nicely and should make a nice crop this year. 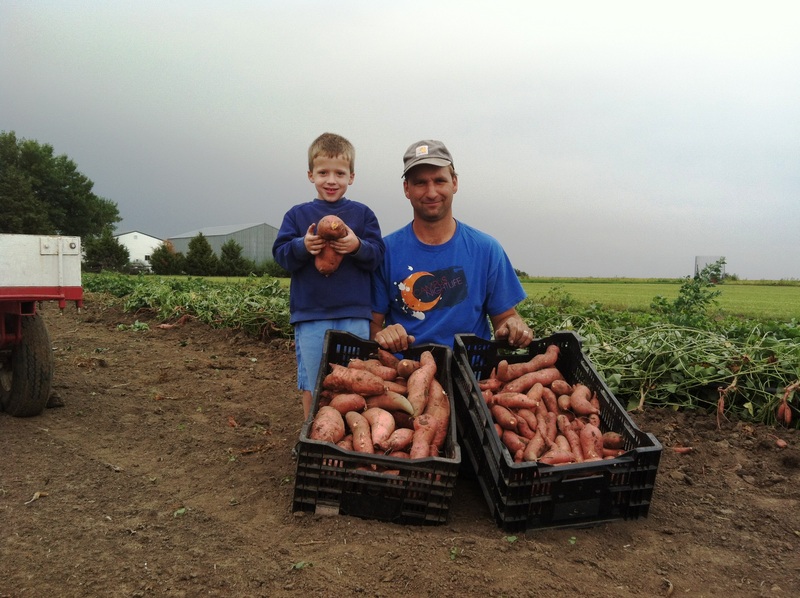 As usual, the Beauregard variety of sweet potato will be making an appearance on the Farmer’s Market stands, as will a new variety for our farm: Evangeline. The greenhouse is progressing as we look forward to winter strawberries this year. 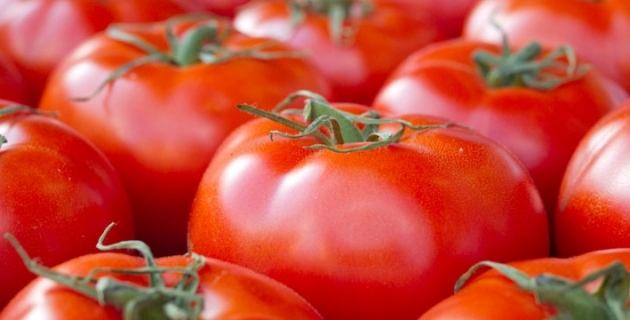 The next eight to twelve weeks hold some great promise for produce!